Surprisingly strong effort. After they released Confession in the early 00's I thought they were just a bunch of mtv wannabes....but they certainly got my respect now. Well done!!! This is mostly for teens, electronics just does not work. As a fan of Ill Nino for years, I'm happy to see that they are still keeping themselves from being blended into the average metal band and keeping their signature style. The best part of Till Death, La Familia is that there are many styles present within the album. 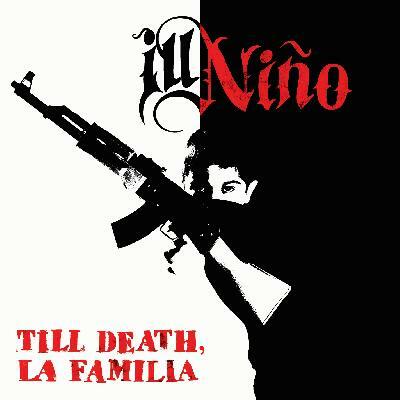 For example, "Blood is Thicker than Water" shows that they can make a very great deep, emotional song, while songs like "Payaso" and "Dead Friends" show just how much intensity Ill Nino can put out. Finally, tracks like "Live Like There's No Tomorrow" and "My Bullet" (my personal favorite on the album) show just how amazing these guys can be when all these styles are blended together. Very solid, memorable effort. It's average for the most part, certainly, but there are some nice moments to be found here. The solos in "Not alive in my Nightmare" and "Are we so Innocent" are pretty decent, and some songs are obviously better than others. I was expecting more of a prominent latin influence in this album (though I haven't heard any of the band's more recent work), and the monotonous metalcore style is just here to stay, it seems. I didn't think they would be able to top Epidemia but they sure as hell surprised me. This album is by far their strongest effort to date. Every song is great.